Though specifically discussing Monterrey, Mexico in this article, we will continue reviewing different cities and regions of Mexico in order to analyze their cultures, traditions, and most importantly, their economies and business climates. One thing that we want readers to understand is that Mexico, like most countries, is a place of vast geographic, historical and cultural diversity. Through much of our research for our text, Mexican Business Culture, we found that business practices and cultures are distinctively different depending with which part of Mexico you may be doing business. To be quite honest, Mexico is no different than essentially any other country in regards to this diversity of culture and ways of doing business. We, as humans, all have generalized stereotypes of national cultures that are effectively perpetuated by pop culture. Most of us may think of all Germans being abrasive, aggressive and eating sausage and sauerkraut while washing it down with good beer. The French, we may imagine, as a group of rude wine and coffee drinkers in a café in Paris. We associate Americans as drinking Budweiser, eating chicken wings and watching the NFL while the Argentines are sitting on a ranch outside of Buenos Aires enjoying a tender cut of beef with a soft Malbec. Wait! Let’s not forget, the quintessential Mexican who eats tacos everyday while drinking tequila, enjoying his afternoon siesta with the sombrero to shade him from the sun! These are all commonplace cultural occurrences in the aforementioned nations and generally provoke thoughts of great food and pleasant, relaxing experiences abroad. However, generalizing a national culture, its psyche and way of life as a one size fits all model can lead to problems doing business in other cultures. This is why it is imperative to understand Mexico, its different regions, industries and business climate on a case-by-case basis. Just as it would be foolish to assume that an American working at in international company in San Francisco or New York will approach business in the same way as a rancher in Wyoming or the owner of a guaranteed supplies business in Louisiana, it would be essentially pointless and counter productive for a Westerner or any foreigner to assume that an MBA at a company in Monterrey will do business in the same manner as a restaurant owner on the coast of Oaxaca. 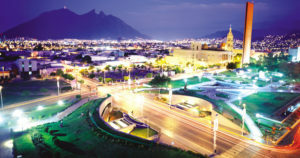 Monterrey is commonly known as Mexico’s most modern city, and one of its wealthiest. The capital of the Mexican state of Nuevo Leon, it is also the cultural and business capital for the state with the third largest economic output in Mexico. In regards to population, Monterrey trails only Mexico City and Guadalajara as Mexico’s third most populous metropolitan area. Monterrey and Nuevo Leon, in general, are known for some of the best beef in Mexico. If you happen to be in Monterrey for business, whether for Mexican import or export work, souring, Mexican distribution, working a trade show or whatnot, try to catch at least one nice steak meal. In all likelihood, your Mexican clients or suppliers would be more than happy to recommend, if not take you out to, one of the city’s top steakhouses. The city’s inhabitants, referred to as “Monterreyenos” by themselves and by those in other regions of Mexico, are most likely the most well-educated people in the nation. Aside from a vast array of advanced degrees from Mexican and foreign universities, you will also find the highest percentage of bi-lingual business people in Mexico in Nuevo Leon’s capital. It is commonplace in Monterrey that in many, if not most of the large Mexican and international companies, that nearly all managers speak fluent English. If you are a native English speaker and trying to do business in Monterrey, it is safe to say that you will likely have no problem communicating with your Mexican counterparts. 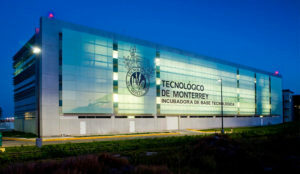 One of the specific reasons that you will find Monterrey’s population (especially in commerce) to be highly educated and bi-lingual is the Instituto Tecnológico de Estudios Superiores de Monterrey (ITESM), also known as the “ El Tec de Monterrey” or simply “El Tec” to people across Mexico. The Tec was founded in 1943 by a group of Monterrey businessmen who wanted Mexicans to have access to a top-level, Western style education. Since its founding over 70 years ago, the Tec has evolved to become one of Mexico’s leading research and teaching institutions with 31 campuses throughout Mexico as it boasts world renowned researchers in fields such as international business, finance, marketing, engineering and countless sciences. Nearly all classes at the Tec are taught with a heavy global emphasis as students are taught to look beyond Mexico’s borders in business and other fields. The university boasts exchange programs with top universities all over the world and students are encouraged to spend time abroad to sharpen global awareness and business skills. The Tec has exchange programs with Yale, Harvard, Georgetown, Stanford and the University of Texas at Austin just to name a few. In the cases of UT Austin and Harvard, the Tec holds dual MBA programs with each of these prestigious institutions. Students at the Tec are denied graduation from almost all programs without minimum test scores in English to prove proficiency. Tec students are typically not allowed to arrive late to class or turn in assignments late and can easily be failed for academic dishonesty. This is worth noting as the three aforementioned practices are typically tolerated if not encouraged at many other schools and universities in Latin America as the region has traditionally suffered from an apathetic mindset towards concepts such as honesty, time, duty, obligation and individual responsibility. If you are interested in reading our book on business in Mexico, you may like to know that several of our chapter contributors are powerhouse research professors and graduate students at the Tec de Monterrey. It was a privilege to work with all of them. The Tec’s influence on the business scene in Monterrey is substantial. Many if not most of Monterrey’s top business people have studied there and its academic research is closely linked with the city’s business community. Known as Mexico’s industrial capital, Monterrey has some of the most efficient, well run companies in all of Latin America. Many management practices by companies in Monterrey are used as sound examples by business in the United States and beyond. Industrial, high tech manufacturing is widespread in Monterrey and the city is certainly a key element to Mexico’s booming export sector to the United States. The technology sector in Monterrey is most likely second to no other city in Latin America. If you are planning on doing business in Mexico, and will be in need of high tech goods and services as well as R&D, Monterrey should be the first stop on your list. In contrast to a nation such as the United States, Mexico is a high context culture in that it favors long term bonds, aesthetically pleasing communication and relationships as opposed to strictly information and results. We will be talking a lot about high context vs. low context cultures in regards to Mexico in future blogs. In a high context culture like Mexico, communication tends to be less direct and Mexicans tend to value relationships (ie: long drawn out meetings in which personal ties are cultivated) as opposed to punctual short and productive meetings, for example.) However, as previously noted, it would not be wise to judge a country and its culture under one single umbrella. Monterrey is an excellent example of this warning as it applies to Mexico. Monterrey, Mexico, in general, is a Mexican anomaly in regards to cultural practices in Business. Mexicans in the South do business in a much different fashion than do the Monterreyenos. Before getting too much into culture, just take as a rule of thumb that many businesspeople in Monterrey are going to behave as would Americans with regard to efficiency, punctuality and time as well as communication. People involved in commerce (especially international commerce) in Monterrey and Nuevo Leon can also be expected to think, analyze and arrive to conclusions in a more linear manner than in other parts of Mexico. Thinking and reasoning in a linear manner is an aspect of a low context culture such as the United States or Canada. As far as reasoning and communication are concerned, you may find your business counterparts in Monterrey to posses few differences than what you may be used to back home.